2006 NJ Gold's Classic Bodybuilding And Figure Championships Review & Results! 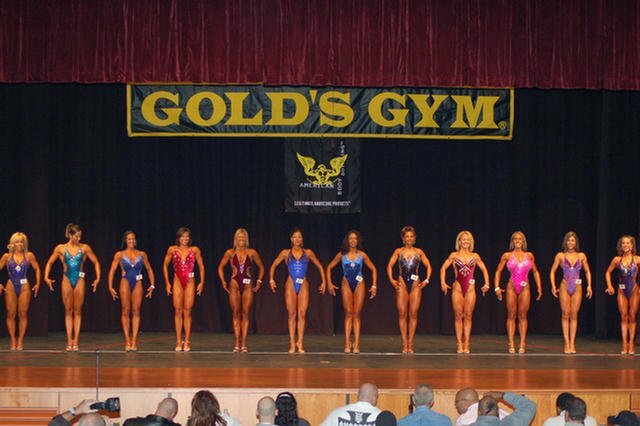 The 2006 NJ Gold's Classic Bodybuilding And Figure Championships were held in New Jersey on October 21st. Bodybuilding fans and competitors proved why the Northeast is still one of the strongest regions in the country! 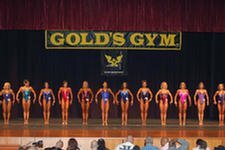 On Saturday Oct 21st bodybuilding fans and competitors proved why the Northeast is still one of the strongest regions in the country as American Bodybuilding and Life Fitness presented The 2006 NJ Goldâ€™s Classic Bodybuilding and Figure Championships. NPC Chairman John Kemper congratulated promoters Mark and Karen Steinfield on what was undoubtedly the biggest show of the year. â€? "This yearâ€™s field of over 80 competitors is a terrific turnout. 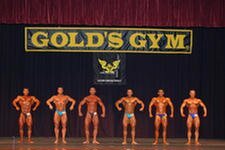 The Goldâ€™s Classic is one of our original shows from the early days of the NPC and it remains one of the most popular, great turnout, great venue, and great organizationâ€� said Kemper. Steve Stone and crew did their usual superb job as the show ran perfect and on time. In addition to running a tight ship backstage, Steve did a fantastic job as Master of Ceremonies. Also on hand to help out were Rob and Kim Klein, Yvonne Harper, Mike Monteforte and long time supporters of NPC bodybuilding Bob Bonham and Ron Cappadano. The Goldâ€™s Classic is a national qualifier and competition was certainly reflective of that. The top 2 finishers in all classes are now eligible to move on to the national competition of their choice. The show started off with a big surprise as Masterâ€™s National Lightweight Champ Pat Grieco finished off his guest posing routine by proposing to his long time girlfriend Kristen. She was totally caught off guard, and after a few tense moments Christine gladly accepted. Rumor has it the wedding party will wear posing trunks for the ceremony. Current Mr. NJ Big Sean Jones, the featured guest poser of the evening, thrilled the audience with an amazing routine. He plans to do some damage at the Nationals next year. Sean looked great and heâ€™s probably right. Weâ€™ll be watching. Womenâ€™s Figure continues to gain momentum as both the short and tall classes were full with seasoned competitors. Monet Thorne started off the evening by taking the short class and Irina Mishina showed what hard training will do as she took the tall class. Irina Mishina who looked absolutely amazing took the overall 2006 NJ Goldâ€™s Classic Figure Class. Menâ€™s masters came next and judging by the size of the class, it wonâ€™t be long before we see a full regional competition dedicated to masters with full weight classes. Anthony DeAngelis looked ready for the Nationals when he took the over 35 class and Geno Sylvain was equally impressive as he took the over 45 class. The Menâ€™s Novice division saw some new faces, but you would never know it by the shape they were in. Craig Granowitz proved its never too late to start when he took the lightweight class at the age of 42. Doug Lusker walked off with the middleweight title as he stood out in a very tough class. Chris Tuttle grabbed the light heavyweight title in the largest novice class of the night, and Matt Johnson made the trip from upstate NY worthwhile as he took home the Heavyweight title. Chris Tuttle was too strong though and edged out the other class winners to take home the trophy as he is the new 2006 NJ Goldâ€™s Classic Overall Menâ€™s Novice Champion. All eyes were on the Menâ€™s Open class to see who would qualify to move on to the nationals. Wayne Hugar started things off by taking a strong Bantamweight class. Timothy Wheeler proved to be in great shape as he took the lightweight class. Doug Lusker walked off with the middleweight title and is clearly ready for the nationals if he chooses. In what was again the largest class of the open division Anthony DeAngelis took the light heavyweight class. _Matt Johnson was ready for all challengers as he won the heavyweight class, and Joe Biletta was too much for the competition as he walked off with the super heavyweight title. 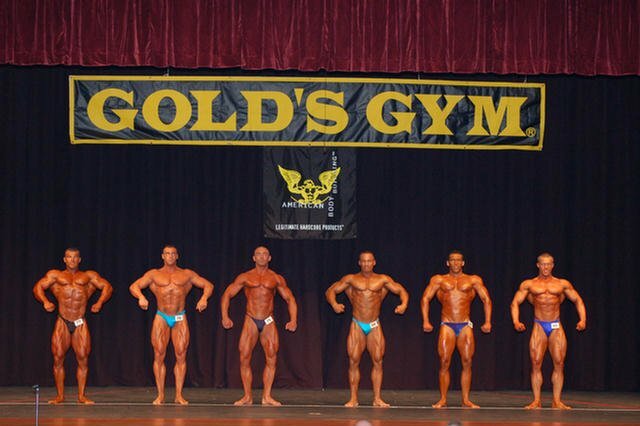 The judges called for all class winners to hit the mandatory poses and then came a long and wild posedown. After some tense moments Anthony DeAngelis became the undisputed 2006 NJ Goldâ€™s Classic Overall Menâ€™s Open Champion and is now ready to do some damage at the nationals. We wish him luck. Promoters Mark and Karen Steinfield would like to thank all the sponsors for their support, and a special thanks to Bodybuilding.com for a great year We all look forward to their 2007 Muscle Beach and Goldâ€™s Classic shows. For more details call Goldâ€™s Gym at 732-899-1001 and ask for Karen. 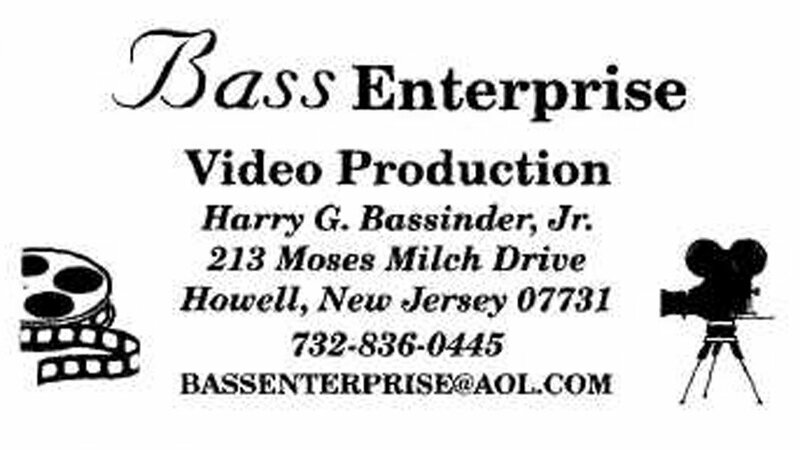 Photography courtesy of Harry G. Bassinder Jr. photographer / videographer for this show and the New Jersey NPC Organization.